From literally freezing for a shot of the Atacama’s starry skies to riding through the world’s driest desert, two Finnish filmmakers go to extremes for the camera. 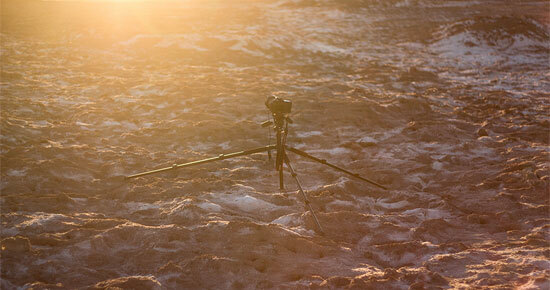 This entry was posted in This is Chile, Travel and tagged Interviews on November 23, 2012 by joehinchliffe. 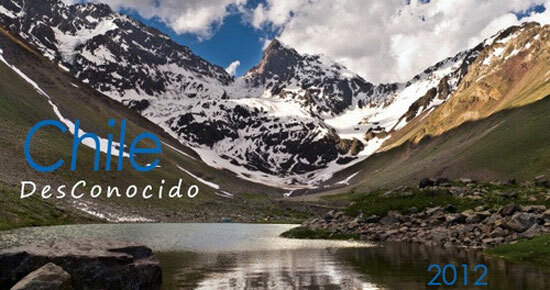 This entry was posted in Culture, This is Chile, Travel and tagged Photography on November 9, 2012 by joehinchliffe. 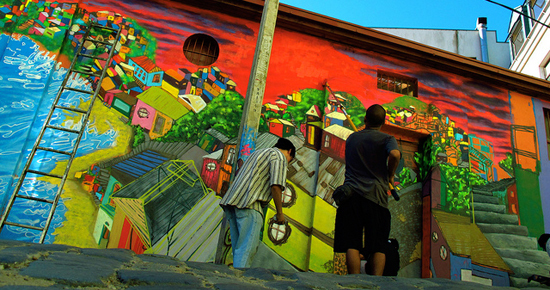 Street artists from around Chile and Latin America converged on Valparaíso last weekend to transform a lower economic neighborhood into the city’s newest travel destination. This entry was posted in Culture, This is Chile, Travel on November 9, 2012 by joehinchliffe. 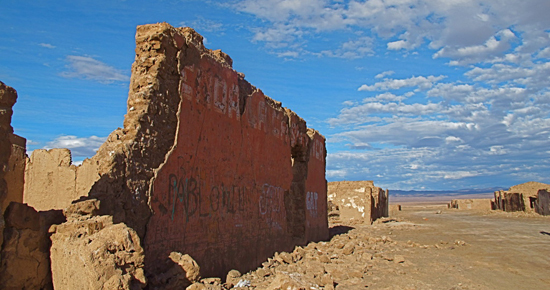 Two roads traverse the nitrate pampa, a stretch of desert once the heart of the Chilean economy, but now a graveyard for over 80 ruined factories and towns. This entry was posted in This is Chile, Travel on July 19, 2012 by joehinchliffe. 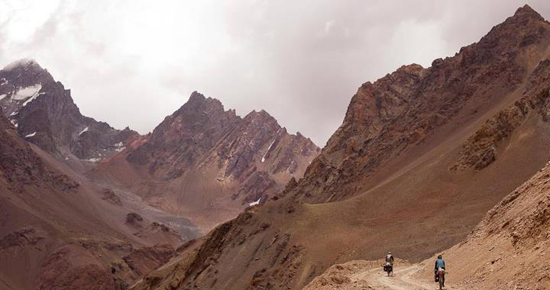 In July 2011, Morrigan McCarthy and Alan Winslow embarked on a three year project to ride their bicycles over 30,000 miles (48,280 km) across four continents and 50 countries, documenting the lives of twenty-somethings around the world through photographs, video, audio and writing. This entry was posted in This is Chile, Travel and tagged Interviews on April 5, 2012 by joehinchliffe. This is Chile talks about some of the lesser-known of Chile’s outdoor destinations with professional landscape photographer and tour guide, David Gysel. This entry was posted in This is Chile, Travel and tagged Interviews on February 23, 2012 by joehinchliffe.